In the Toronto centric war of the Neapolitan pizza restaurants, Queen Margherita pizza would always get my vote. 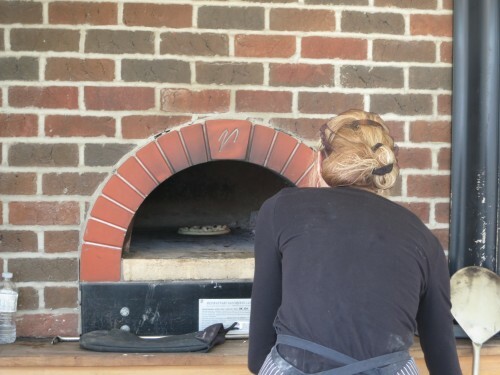 Not only is their pizza always freshly prepared in their wood burning ovens with a deliciously blistered crust, but the restaurants themselves are beautiful spaces. 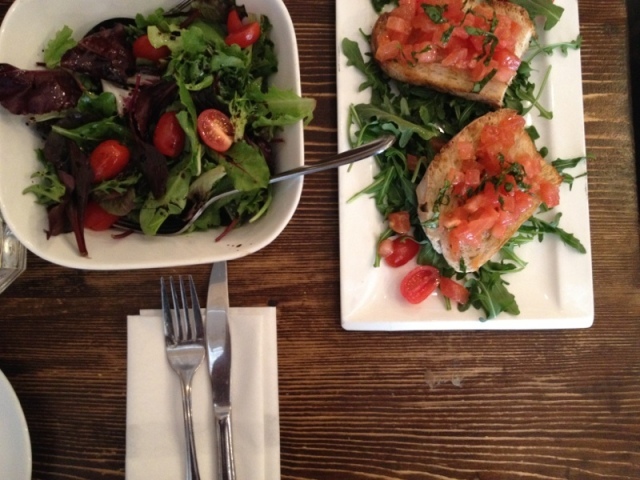 For a date night, Queen Margherita is a sure bet for a romantic atmosphere and excellent food. I went to their Dundas W and College location at 772 Dundas Street W. Check out other locations here. This location was bustling on a Saturday night. On the main level you’ll find the bar, and to get to the main dining area you head down a short flight of stairs into their large open dining room. The best bang for your buck (and your stomach) is their prix fixe menu. 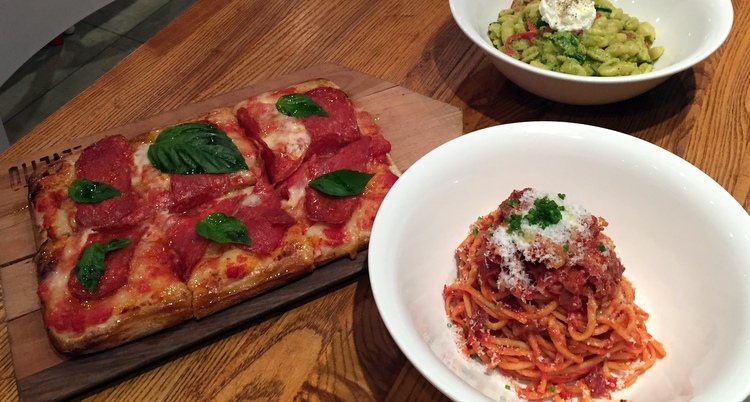 For $29, you get your choice of appetizer, any pizza and any dessert. I spotted Arancini on the app menu and couldn’t resist ordering it. 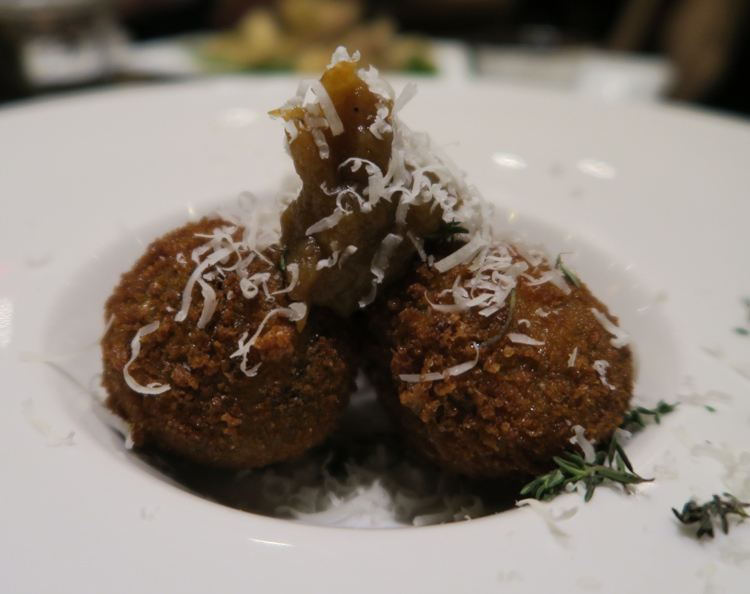 The Arancini were fried into perfect balls and filled with rice, mushrooms, parmigiano cheese and caramelized onions. They were packed with flavour and were deliciously cheesy. 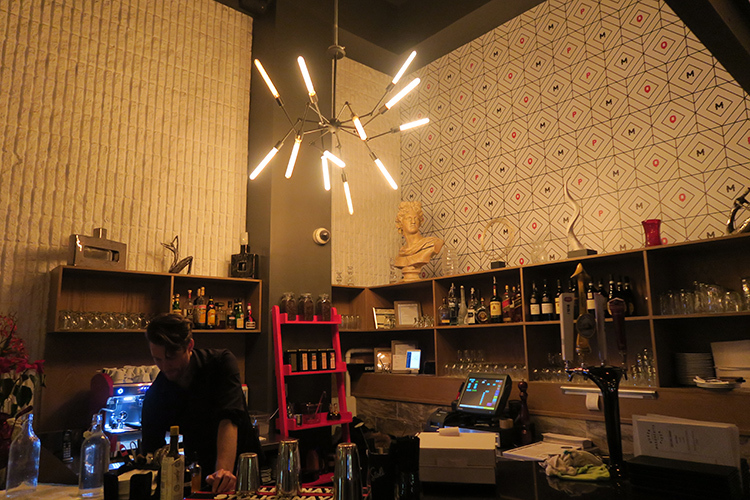 I went to Levetto on College Street for dinner, and now I just want to find excuses to return over and over again. This small restaurant is a casual spot for a date, or a group of friends. It’s also a great place for families. The other day I was treated to a night of pizza and gelato. Yes…you heard right. 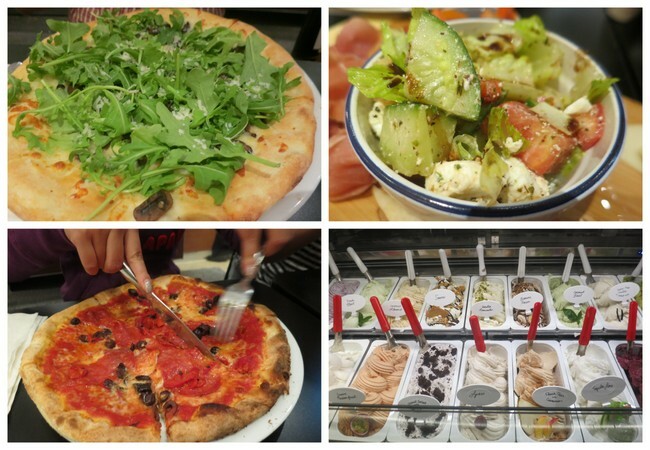 Pizza and gelato, together at last? Where is this magical place? G for Gelato! I have a bunch of favourite restaurants that I inexplicably haven’t written about yet, and Pizza e Pazzi is one of them. I was thrilled when they participated in Winterlicious this year! 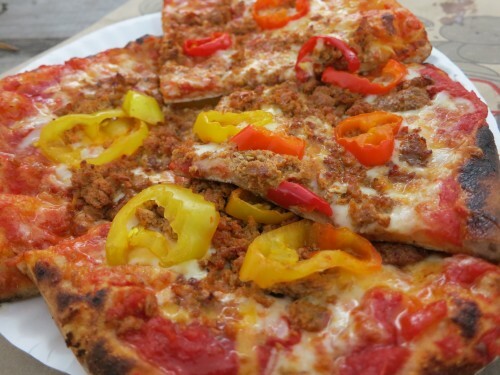 They make one of my favourite Neapolitan style pies in the city, and have a custom wood burning pizza oven that traveled all the way from Naples. Fun fact: I always thought Pizza e Pazzi meant pizza and pasta. Nope, it means “Pizza and the Crazies.” We stopped in for the $15 Winterlicious lunch. The University of Toronto Scarborough Campus has a farmers market each week, and it’s pretty much my favourite weekly habit. This year, they have a Food Truck that will be visiting as part of the market! 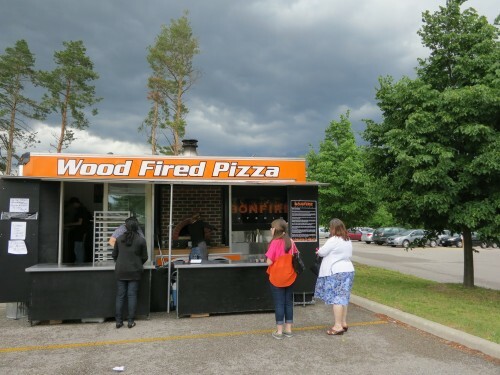 Bonfire Catering is almost literally a bonfire on wheels. 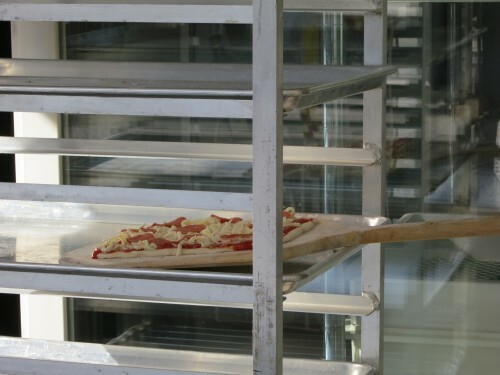 Inside of their truck, they managed to house a mugnaini Italian pizza oven! It’s family run and they are very friendly. I picked up a personal sized Hot Mexican pizza. They fire them up right there on the truck, and it’s made fresh. 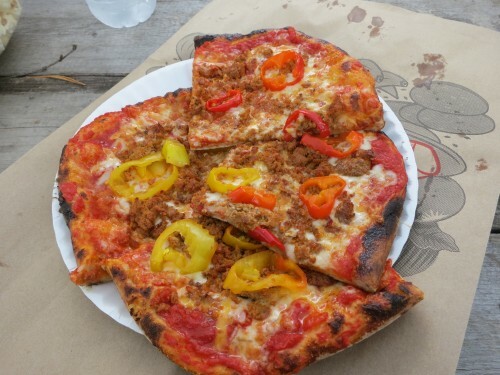 The pizza was spicy with hot peppers and their own homemade spicy sausage. It was super good. I’ve been back there since (pepperoni and vegetarian) but this one is my favourite! The Farmers Market is every Wednesday in the University of Toronto parking lot from 3pm- 7pm.